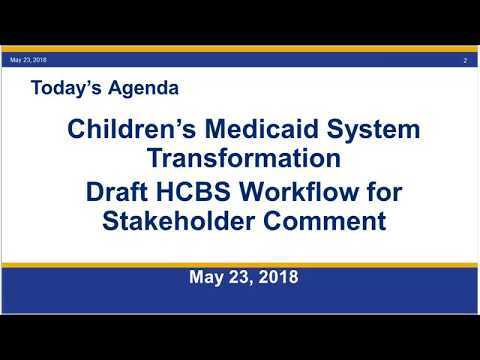 DOH and NYS State Partners hosted The Children’s Medicaid Redesign HCBS Workflow Guidance webinar. This webinar outlined the process for Health Home Care Managers, the Independent Entity and Managed Care Plans regarding the HCBS Plan of Care. Stakeholder comments on this webinar are due Wednesday, May 30th, 2018. Please submit your comments to the DOH BH Transition Mailbox BH.Transition@health.ny.gov. In the subject line please indicate HCBS Workflow Comments.